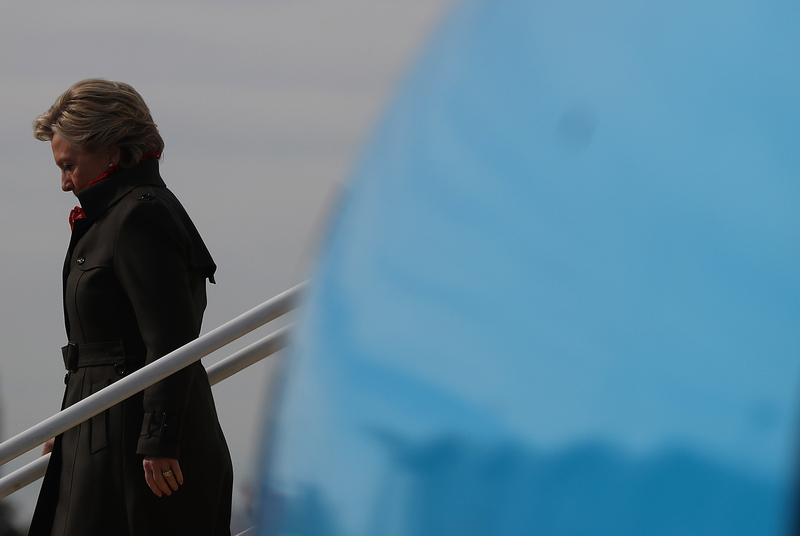 Hillary Clinton's October Surprise May Hurt Her, But Not The Way Donald Trump Needs It To. Last week, Hillary Clinton had the kind of lead in the polls that almost allowed those of us with Donald-Trump-based insomnia to get a few winks of sleep. Then on Friday, FBI Director James Comey announced new Clinton-related emails would be reviewed. That alone meant cable news nearly wet itself with excitement — all the more when Anthony Weiner entered the picture. The takeaway from the news cycle was that this was bad for Clinton. But the question on everyone’s mind was: Was it bad enough to put Clinton’s lead at risk? The answer is, of course, a little unsatisfying, and goes something like: We don’t really know, but probably not? First, while everyone is crowing about this “October Surprise” — which, though it sounds like it should be a seasonal flavor of Blizzard at Dairy Queen, is actually a late-breaking news story that has the potential to change the outcome of a November election — Harry Enten at FiveThirtyEight has shown that they don’t actually move the needle all that much. Second, a lot of people have already voted, and even among those who haven’t, they made up their mind a while ago. Polling done over the weekend by Politico and Morning Consult in the wake of Comey’s letter showed that the revelations had little effect on the candidate’s positions — most of the people who said that Friday’s news made them “less likely to vote for Clinton” were already supporting Trump. Among undecided voters, while 42 percent said it made them less likely to vote for Clinton, 41 percent said it had no effect on their vote. Finally, the impact of the initial conflagration was dampened by the clarification that it’s unclear if any of the suspicious emails were even sent or received by Clinton. Over the weekend, there has also been considerable criticism and blowback against Comey, whose motivations for issuing such a letter so close to Election Day were roundly questioned. At the end of the day, like so many things in life, this election is (and, honestly, always has been) too close to call, even as FiveThirtyEight maintains its 3-to-1 odds of a Clinton victory. The biggest takeaway: There’s never been a more important election for you to make sure you vote in.